Flavor Profile: Complex coffee highlighted by bright and sweet flavors of strawberry jam, red apple hard candy, and fresh vanilla bean. Subtle hints of cinnamon and milk chocolate come through on the finish. Sourced from Rayaan Mill, a tiny group with the intent of bringing this exotic and often volatile coffee to the world. 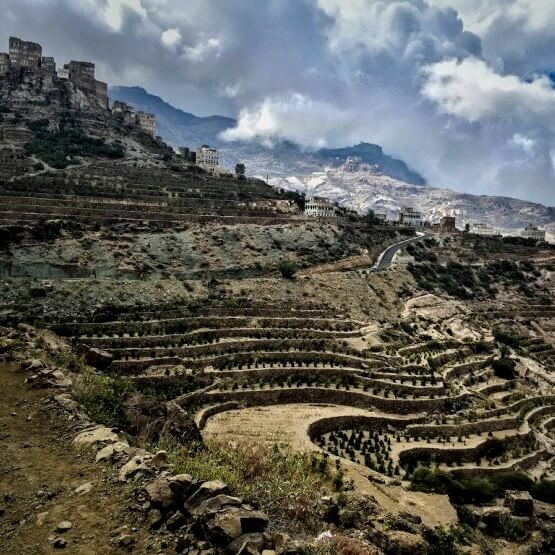 Historically, microlots have not been available from Yemeni producers due to lack of interest. Rayaan is empowering these individual producers by forging relationships, processing their small lots, and exporting them independently. Elevation of 1675-1755 masl, heirloom typical varietals. Traditional natural patio drying followed by washing after depulping.